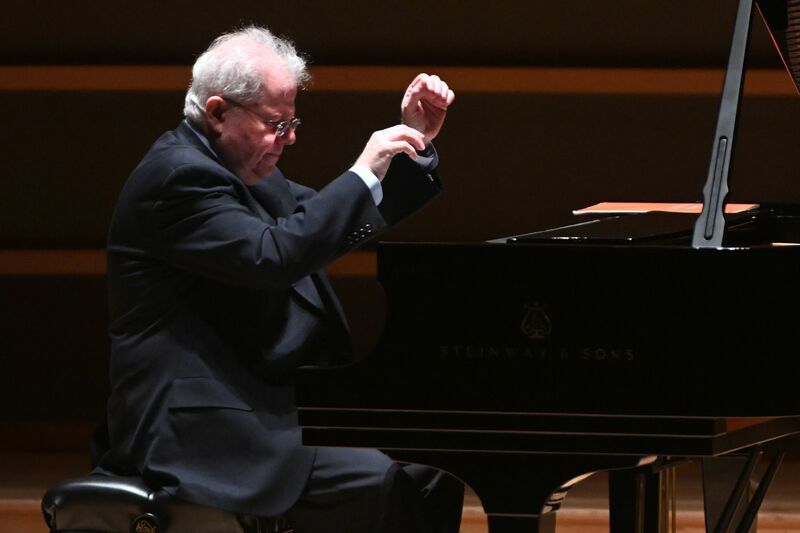 Emanuel Ax is as solid a pianist as they come. He doesn’t take chances and he always does the right thing. But is that what we really want in a pianist? Is that all there is? You might have thought so from the Brahms that opened this venerated figure’s recital Tuesday night in the Perelman Theater. Two Rhapsodies, Opus 79, were moderately conceived. No magic, no revelation. By the time he got to Schumann, though, in this Philadelphia Chamber Music Society visit, we could hear again why Ax for decades has been counted among the keyboard elite. It had to do with taking liberties. Ax took many of them in Schumann’s eight Fantasiestücke, Op. 12, and it made all the difference. Tempos were more flexible. Emotions were strongly felt. There was also a sense of imagination, a role for the pianist to contribute something in the storytelling that is so central to Schumann (though I’d argue it’s there in Brahms, too). Ax did a wonderful job of differentiating voices in distinct registers of the piano at the end of the first of the Fantasiestücke, “Des Abends.” The second started with an anxiety attack that was just right, and the third drifted dreamily off. Ax’s sound was never more magnificent all evening than it was in the fourth movement. There are quixotic touches to this piece titled “whimsy,” but it was the sense of pageantry that he really caught — the grand ringing sound of the instrument that veered between something noble and something military. In between Brahms and Schumann, Ax placed character sketches of a more modern vintage. George Benjamin’s Piano Figures from 2004 is a set of miniatures with names from the easily understood “Knots” to the more inscrutable “Around the Corner.” Chimes, scurrying, tuneful passages, Stravinsky-like chords, and nocturnal graspings in the dark were among the sounds, which Ax sculptured to a fine degree. Why Ax programmed Ravel’s Valses nobles et sentimentales wasn’t entirely clear, though that is admittedly a personal reaction. He rushed through much of it, keeping its achingly sweet waltzes from casting their sensuous spell. And I found his Chopin a series of hits and misses, even within genres. The Mazurka No. 1 in G Major made no major statement. But the next in the Opus 50 set, the Mazurka No. 2 in A Flat Major, cheated time in the most elegant way possible. The Andante spianato et grande polonaise brillante in E Flat Major, Opus 22 drew a roar from the audience, with its escalating gusts to the conclusion — but isn’t that the piece? He rewarded listeners with two encores: the Nocturne in F Sharp, Opus 15, No. 2, and a lovingly played Waltz in A Flat Major, Op. 34, No. 1. The pianist feels this music the way he feels it, but in the Nocturne, where the music invites a subtle, imaginative finesse of the beat, Ax was willing to take the music up on the offer only so far.